This is an all year, four season vacation rental. Great for all year family vacations - summer, fall, winter and spring swimming, fishing, hiking snowmobiling and skiing. Boating: Two Kayaks and one Old Town canoe with gear with rental. There is a free public boat launch at Wellington State Beach about 2 miles away and West Shore Marine with boats for rent. Kayaks can be rented also from Shacketts Market. Hiking: Hike the Elwell trail from Wellington State Park with easy hiking to the summits of Mt Sugarloaf and Little Sugarloaf with great views of the lake. Also hike an easy flat nature trail around the Wellington State Park peninsula following the water’s edge. 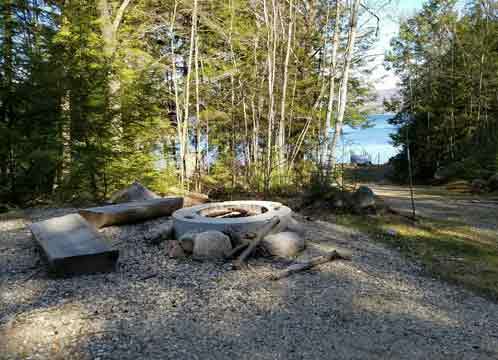 around the peninsula with great views of the lake, cliffs, and islands. 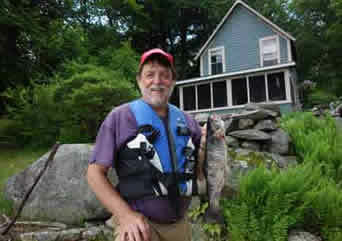 Fishing: New Hampshire fishing license required. 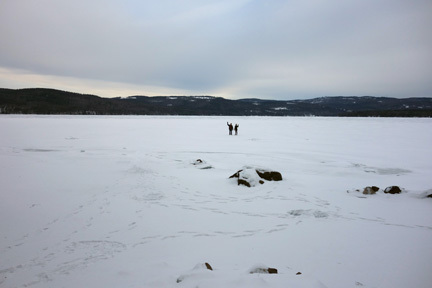 Newfound Lake is one of the best known Landlocked Salmon and Lake Trout lakes in NH. The lake was first stocked with Landlocked Salmon in 1866. The water is well known for its exceptionally large Lake Trout, and the record Lake Trout for the state of NH was caught here. The waters are crystal clear and run up to 183 Ft. in the center. Best fishing for Lake Trout and Landlocked Salmon is in the upper section of the Lake. The 20 mile shoreline of this natural body of water is moderately developed; the bottom is rocky and sandy. Winter offers ice fishing, snowmobiling, hiking, snow shoeing, cross country skiing and downhill skiing or tubing. Ragged Mountain Ski Resort is only 18 miles away. Ski resorts Loon, Waterville Valley and Cannon Mountain are all good day trips and most ski resorts also offer summer activities such as hiking and zip lines and special events like beer fests. Snowmobiling is a great option in and around Newfound Lake. There are many snowmobile clubs that maintain an extensive network of trails that interconnect in regions around the entire lake. 603-744-9111 directly across lake on Rt 3A.